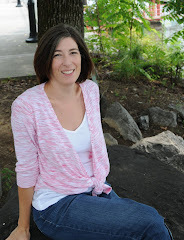 Linking up with the ever lovely Lisa-Jo Baker. Oh, tomorrow! I’m already dreading it a little bit. There’s the mad dash to finish up any laundry, clean up the kitchen, pack the bags, then the car… Then the fun begins. We have what every good citizen of Northern Virginia adores ahead of us: driving on I-66. It could be worse. It doesn’t end in a 95! 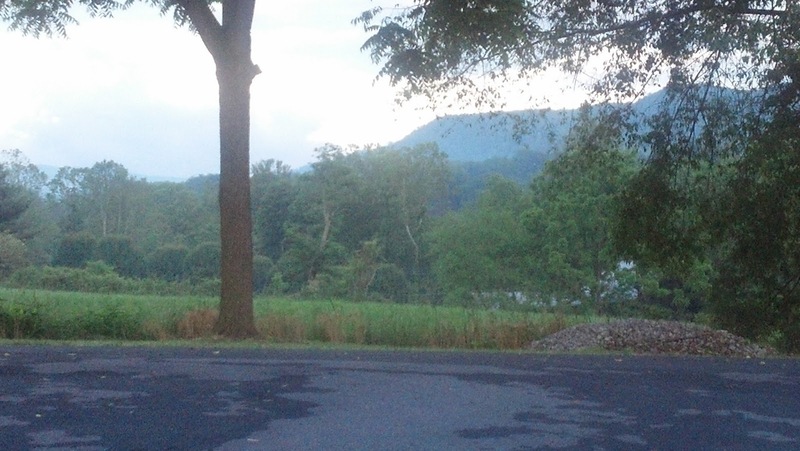 After 6 and a half hours of lovely trudgery on 66 then I-81, we’ll pull into our driveway in the mountains. It will be pitch dark and probably unseasonably cool. We’ll fight to get the little guy in bed, then ourselves. There it is! It’s not quite White Top Mountain, but it is Pond Mountain. It’s our view of what I think is one of the most beautiful places on God’s green earth. My Southern Appalachian Highlands. My Blue Ridge. I wish you could see it all. I wish you could smell the honeysuckle and peonies. I wish you could hear Laurel Creek that runs just across the road from our yard. I wish you could ride or walk on the Virginia Creeper Trail with me. I wish you could enjoy my view. Yep. Packing my bags and coming with you. End of story. Oh that sounds like a lovely view. I wish I could share it with you too! Come on down!! Would love to have you! You can sit next to me!! Sounds amazing...I want to come! (I think you may have an impromptu #fmfparty gang crashing your trip, too...) Have a wonderful time! Really?? This is the one in Damascus near the little red caboose and the little black engine. Very cool that you know my home! Can I join this party? Lovely view! Ah, I wish this was vacation. It's my nephew's graduation, some farming, and some packing of a U-Haul. :) It will be nice to spend time with family. may you LOVE LOVE every minute of your journey! Thank you so much!! I hope you have a great weekend as well. Have so much fun!! And snap some more of those beautiful photos to share with all of us so we can enjoy that view too!!! Thanks, I'll try. let's hope the weather is a little more cooperative than it has been lately. You have a great holiday! Oh how I want to go with you!!! Can I sneak away with you and enjoy that view??? Pretty please. Absolutely!! Damascus and SW VA in general is a great vacation destination. Is there room for me in your suitcase! What a gorgeous view! Come on over any time! you got me with the peonies..my favorite flower. the roads, the sky..in a word PEACEFUL. the pictures are lovely Amy! have a blessed time. Thank you. It is definitely a peaceful place, most of the time. Have a wonderful weekend! Oh Amy...peonies? REAL LIVE peonies!! AH...oh how I wish I could come there to see. What beauty it must be. Enjoy!! If they are blooming and haven't been destroyed by the weather over the past couple weeks I'll try to get a photo just for you! It is truly beautiful You should make a non-conference trip to the east just to take it all in. Thank you, we enjoy it. It's actually just about 3 hours from you. I want to join the party too if for no other reason than that bridge. I love that photo and wish I was standing on the bridge just soaking up the sun and smelling the honeysuckle. There are quite a few trestles on the trail, but this is one of my favorites. Wow! #3. You were definitely up late. But how lucky are we that you shared this awesomeness with us? Thanks sister. I hope your weekend is absolutely wonderful. You ROCK!!! Shhh.. Lisa-Jo accidentally posted early. Don't tell! I hope you have a great weekend, too, friend! Oh, I want to go! It all sounds and looks absolutely lovely. Enjoy it! It is lovely and I will do mu best to enjoy it. Thanks. Me too, me too, me too! Can we all just have a retreat there? It sounds very much like the Great Smoky Mountains, which is very near my hometown. Oh, so lovely friend! ENJOY!!! I can just hear your southern accent coming out in your words. Love it! I'd love to share it with the Dates. I know a boy or two that I bet would enjoy a tractor ride. I bet E & G would like it too!! Miss you bunches!!! Hugs!! This was truly an inspiration to read, loved this! May I please come??? This is beautiful, Amy...not only the post, but the pictures and the place you describe so eloquently. thank you for sharing! Oh, Mary, I would love nothing more than for you to come to my mountains sometime. Oh how I wish I was there too!!! LOVE the smell of Honeysuckle... and my peonies are just about to bloom... I cannot wait! LOVELY post - and views! Oh how I would love seeing the mountains in CA! Such a beautiful place. Glad you enjoyed mine. How I want to come, have a wonderful trip and post pictures!! Lots of them!! It was wonderful and much warmer than we expected. So glad you stopped by for a visit.